Confused about what products to buy? Wondering how to determine which of the many foods in the shops and supermarkets are truly good for you and your family? This handy guide, listing BEST, GOOD, and AVOID foods, will make shopping be less stressful for you. And, you can be assured that you are feeding your family as best as possible. The guide, adapted from the Weston A. Price Shopping Guide and updated for 2017, has the answers you are looking for. Good News! If you buy US products online, live in, or are visiting the United States, the Weston Price Foundation Shopping Guide is a searchable website with store locations and is also available as an app for your iPhone or Android. Best: Clean raw whole milk from certified healthy grass-fed animals, cow milk preferably from old-fashioned breeds that produce high-fat milk, such as Jerseys and Guernseys. This usually must be purchased directly from a farmer or through a cow-share program or co-op. If you are visiting or live in the USA and want to find high-quality, unprocessed milk in your area, visit www.realmilk.com or contact a local chapter of the Weston A. Price Foundation (www.westonaprice.org or 202-363-4394). Good: Full-fat, pasteurized, non-homogenized milk from grass-fed animals, without added vitamins. Avoid: Low-fat and skim milk; UHT milk – ultra-pasteurized milk (long-lasting milk that does not need to be refrigerated till opened); homogenized milk; flavored milk like chocolate milk (Shoko in Israel); milk from animals that are not grass-fed; milk with added vitamins; processed imitation “milk” made from soy, rice, almonds, oats, hemp, etc. Best: Raw whole cottage cheese, cream cheese and fresh cheese from grass-fed animals, with no additives. Good: Cottage cheese, cream cheese and fresh cheese from pasteurized whole non-homogenized milk, preferably grass-fed, with no additives. Avoid: All low-fat and fat-free cottage cheese, cream cheese and fresh cheese and those made with those made with additives; cottage cheese, cream cheese and fresh cheese made from homogenized milk and/or cream. Best: Whole raw cheese made with milk from grass-fed animals, using non-GMO vegetable rennet. If smoked, must be naturally smoked. Many imported and artisan cheeses (in the USA) are of this type. (European cheeses are raw if the label says “milk” or “fresh milk.”) Many artisanal cheeses (in the USA) can be found through websites such as www.cheesesociety.org. Avoid: Low-fat and processed cheese; yellow cheese; low cholesterol cheese, processed cheese slices; cheese spreads and other cheese-like substances; imitation cheese made from soy, hemp, almonds and rice, etc. ; cheese made from homogenized milk; smoked cheese made with smoke flavoring or liquid smoke. Best: Fresh or cultured raw cream from grass-fed animals. Good: Pasteurized non-homogenized cream, cultured cream and sour cream without additives. Avoid: Ultra-pasteurized cream; homogenized cream, cultured cream and sour cream; cream, cultured cream and sour cream with additives; canned whipped cream; imitation whipped cream made with vegetable oils; non-dairy creamers. Use coconut milk for pareve coffee – you will not need to add sugar. Best: Plain, naturally cultured yogurt and kefir, preferably raw, without additives, made with whole non-homogenized milk from grass-fed animals. Good: Plain, whole yogurt and kefir from non-homogenized milk without added vitamins. Avoid: Low-fat and sweetened yogurt and kefir; yogurt and kefir from homogenized milk; yogurt and kefir with added vitamins. Best: Raw butter from grass-fed animals. Good: Pasteurized butter and ghee (clarified butter) without natural flavors, preferably grass-fed. Avoid: Margarines and spreads; partially hydrogenated vegetable oil; shortenings; spreads combining butter with vegetable oils; whipped butter; butter and ghee containing natural flavors. Best: Fresh eggs from pastured poultry, preferably soy free. Good: Organic or high-omega-3 eggs. Avoid: Most commercial eggs, but if this is all that is available, buy them anyway, but do not eat them raw. Best: Organic extra virgin olive oil; organic cold pressed macadamia, avocado, almond, high oleic sunflower and high oleic safflower oils; organic virgin coconut oil; unrefined organic palm oil; tallow and suet from grass-fed cows and sheep; poultry fat from pastured poultry. Good: Cold pressed or expeller pressed sesame, sunflower, peanut, macadamia, avocado, almond, walnut, pecan, pistachio, hazelnut, pumpkin seed, flax, and high oleic safflower oil in small amounts; refined palm oil; refined coconut oil; extra virgin olive oil. Avoid: Most commercial vegetable oils including cottonseed, soy, corn, canola, rice bran, hemp, and grapeseed oils; all margarines, spreads, and partially hydrogenated vegetable shortenings. Best: Fresh or smoked caviar and roe without added colorings; fresh or frozen ocean-going fish, especially herring and mackerel; Pacific or Alaskan salmon, fresh or frozen; kippered (naturally smoked), dried or pickled herring, mackerel and salmon that have not been canned; and trout guaranteed from clean waters; canned cod liver. Avoid: Farmed salmon and trout; fish containing soy oil, vegetable oil, hydrolyzed protein, citric acid, smoke flavoring or liquid smoke; caviar from China. Best: Fresh or frozen beef, veal, lamb, poultry and goat including fat and organ meats, from (preferably soy-free) animals allowed to graze; venison and other game meat. Note: It is important to consume organ meats and meat with the fat. Consumption of lean meats can lead to deficiencies. Good: Organic or naturally raised poultry, veal, beef, bison, lamb, and goat. Avoid: Most commercial chicken and turkey, which is raised in confinement on industrial farms. Best: Processed meats from (preferably soy-free) animals allowed to graze, processed without additives such as monosodium glutamate (MSG). (Note: Products containing hydrolyzed protein, citric acid, “spices,” or “natural flavors” usually contain MSG.) Pastured meats cured with salt, a small amount of sugar and naturally smoked. Also fine, pastured meats cured with salt, a small amount of sugar, and naturally smoked. Also fine, pastured meats cured with sodium nitrite and added sodium erythrobates or ascorbates, which are antioxidants required by the USDA. Good: Processed meats made with the help of celery juice, celery powder, celery seed, spinach juice, spinach powder, carrot juice, carrot powder, beet juice, beet powder, sodium nitrate or sodium phosphate but without MSG and other questionable additives. Avoid: Most commercial processed meats containing MSG, smoke flavoring, liquid smoke, or high levels of additives; processed meats that are high pressure treated. Best: Pemmican, jerky and other meat snacks made from (preferably soy-free) animals allowed to graze, processed without additives such as monosodium glutamate (MSG). (Note: Products containing hydrolyzed protein, citric acid, “spices,” or “natural flavors” usually contain MSG.) Pastured meats cured with salt,a small amount of sugar and naturally smoked. Also fine, pastured meats cured with salt, a small amount of sugar, and naturally smoked. Also fine, sodium nitrite and added sodium erythrobates or ascorbates, which are antioxidants required by the USDA. Good: Pemmican, jerky and other meat snacks made with the help of celery juice, celery powder, celery seed, spinach juice, spinach powder, carrot juice, carrot powder, beet juice, beet powder, sodium nitrate or sodium phosphate but without MSG and other questionable additives. Avoid: Pemmican, jerky and other meat snacks containing MSG, smoke flavoring, liquid smoke, or high levels of additives. Best: Fresh organic, bio-dynamic or wild fruits and vegetables, preferably local and in season.Dried organic, bio-dynamic or wild fruits and vegetables with no added sugar, oil, additives, and preservatives. Unsprayed sea vegetables, whole or powdered (not capsules). Good: Fresh fruits and vegetables in season. (Note: wash well to remove as much pesticide residue as possible.) Frozen organic fruits and vegetables without ascorbic acid and citric acid; canned organic tomato products without citric acid in BPA-free containers that are not aseptic boxes. Avoid: Most canned fruits and vegetables. ; most Hawaiian papaya (which is genetically engineered); fruits and vegetables (even organic) from China. In Israel – avoid the garlic which comes from China. We’ve generally been buying a lot of fresh garlic when it is in the shops, around Pesach time, and store it. We have enough garlic to last us for most of the year. Learn more about buying garlic here. Best: Unheated, organic lacto-fermented vegetables made with unrefined salt and/or a culture, not vinegar. Good: Unheated, non-organic lacto-fermented vegetables; vegetables made with unrefined salt and/or a culture; vegetables cultured with raw vinegar. Avoid: All pasteurized or heated pickled vegetables and sauerkraut; lacto-fermented vegetables containing additives such as calcium chloride. Best: Natural culturing starters for kombucha, dairy products, bread, and vegetables. Best: Organic dried beans (except soybeans unless used for making fermented foods such as natto). lentils, whole grain rice, whole grains (except bulgur*) and whole grain hot cereals (which must be soaked before cooking); wildcrafted wild rice; organic popcorn (to pop at home); organic sprouting seeds except alfalfa and soybean. All grains should be soaked in an acidic medium to minimize enzyme inhibitors and phytic acid. Purchase brown rice and hot cereals in sealed packages, not from bins, to avoid rancidity. Good: Organic soaked granola; organic canned legumes (except soybeans unless used for making fermented foods such as natto), eaten only once or twice a month; organic whole grain buckwheat, corn, and brown rice pasta. Avoid: Non-organic grains and legumes originating in the US (most of those grown in the US are sprayed with Roundup); extruded cold breakfast cereals; unsoaked granola; bulgur; quick cooking grains; white rice and white flour products including pasta; quinoa pasta, non-organic canned baked beans and similar products; puffed grain products such as rice cakes; factory-made modern soy foods; soybeans unless used for making fermented foods such as natto; soybean sprouting seeds and sprouts; alfalfa seeds and sprouts; grains and legumes (even organic) from China. Best: Sourdough or sprouted breads made from freshly ground organic whole grain flour, without additives such as gluten, soy, bran, and partially hydrogenated oils. Good: Organic whole grain breads, made without additives such as gluten, soy, bran, and partially hydrogenated oils. Avoid: Breads made with non-organic grains from the US (most of which are sprayed with Roundup:) most commercial breads based on white flour and containing partially hydrogenated vegetable oils, soy, bran, gluten, or numerous additives. Breads containing ascorbic acid, hemp, brown rice syrup, sugar syrup, oat fiber, chocolate, cocoa or cacao**. Best: Freshly ground and then soaked, organic whole grain flours, freshly ground organic sprouted/dehydrated grains; aluminum-free baking powder; organic roasted carob and roasted carob powder. Good: Organic sprouted flours and baking mixes made with them; organic whole grain flours (which should be soaked); limited use of organic unbleached white flour. Avoid: Unsoaked whole grain flours, bleached white flour, soy flour,and baking mixes made with them; baking powder containing aluminum; chocolate, cocoa and cacao**. Best: Sourdough or sprouted crackers made from freshly ground organic whole grain flour, without additives such as gluten, soy flour, unsoaked quinoa, partially hydrogenated oils, and agave. Good: Organic whole grain crackers, made without additives, soy flour, unsoaked quinoa, partially hydrogenated oils and agave. Avoid: Crackers from the US made with non-organic grains (most of which are sprayed with Roundup); most commercial crackers based on white flour and containing partially hydrogenated vegetable oils, soy flour, or additives, unsoaked quinoa, agave, chocolate, cocoa or cacao**. Best: Fresh organic or wild raw nuts and seeds (except hemp) in sealed packages (not from bins); organic raw almonds (try to buy the Israeli almonds since organic raw almonds grown in the US may have been heat-treated); soaked/sprouted organic or wild raw nuts, seeds and butters (except hemp). Note: Soak raw nuts and seeds in salted water for 6-8 hours and dry in a dehydrator or in an oven at a warm setting. Store in airtight containers. Walnuts should be stored in the refrigerator. Good: Fresh raw and dry roasted nuts and seeds (except hemp); peanut butter made from roasted peanuts, and other nut and seed butters (except hemp) without partially hydrogenated vegetable oils, sugar, agave, chocolate, cocoa, cacao**, flavorings or other additives. Avoid: Peanut butter, other nut and seed butters and nut mixtures containing partially hydrogenated vegetable oils, sugar, agave, chocolate, cocoa, cacao**, flavorings or other additives; hemp seeds and products. Nuts and seeds (even organic) from China. Best: “Water”, “milk” and “cream” extracted from fresh coconuts; whole canned (not in aseptic boxes) coconut milk (not in aseptic boxes) without additives; canned coconut cream (not in aseptic boxes) without additives; unsweetened desiccated coconut meat; coconut vinegar. All canned products preferably in BPA-free containers. Good: Canned (not in aseptic boxes) whole coconut milk and cream with emulsifiers; canned (not in aseptic boxes) coconut water. Avoid: “Lite” coconut milk; sweetened coconut meat; coconut products containing preservatives (usually listed in the ingredients as E numbers), coconut products in aseptic boxes. Best: Organic raw vinegars; organic aged balsamic vinegars; organic raw naturally fermented soy sauce, tamari, and miso; arrowroot; organic mustard made with natural ingredients; flavoring mixes made with natural ingredients; organic mirin; fermented ketchup and sauces; organic natto. Good: Pasteurized naturally fermented soy sauce, tamari and miso; ketchup sweetened with organic sugar or natural sweeteners; sauces with natural ingredients and without MSG; pasteurized vinegar without natural flavors or caramel. Avoid: Most commercial sauces, ketchup and other condiments; liquid amino acids; bouillon cubes; distilled vinegar; synthetic white vinegar. Best: Unrefined salt (which is light grey, pink, red or beige in color), fresh seasoning herbs; non-irradiated dried seasoning herbs, spices and blends without additives. If smoked, must be naturally smoked. Good: Non-iodized salt; dried seasoning herbs, spices and blends without additives; blends containing salt. Avoid: Iodized salt; MSG; salts, herbs, spices and blends containing MSG, citric acid, hydrolyzed protein or other additives. Best: Homemade soups based on homemade stock (bone broth); homemade stock made with bones of poultry, beef, lamb, goat, game meats and fish. Good: Canned broth or stock without additives. Add 1-2 teaspoons kosher gelatin to canned broth and stock. Avoid: Most canned and all dehydrated soups, which are loaded with MSG; stock sold in aseptic boxes; bouillon cubes. Best: Organic chips cooked in coconut or palm oil, organic home popped in butter, coconut oil, or palm oil. Good: Organic chips and popcorn cooked in avocado, olive, palm, high oleic sunflower, or high oleic safflower oils. Avoid: All chips, popcorn and snack foods cooked in partially hydrogenated vegetable oils; microwave popcorn; snack foods containing agave, citric acid, unsoaked quinoa, chocolate, cocoa, or cacao**, snack foods from the US made with non-organic grains (most of which are sprayed with Roundup), non-organic chips and popcorn. Best: Cookies and bars made with organic natural sweeteners, soaked or sprouted whole grain flour, soaked/dried nuts and seeds, and butter, coconut oil or other traditional fats. Good: Cookies and bars made with organic whole grain flour, butter, palm oil or coconut oil. Avoid: Cookies, bars, and muffins made with non-organic grains from the US (most are sprayed with Roundup); most commercial cookies, bars, and muffins made with partially hydrogenated vegetable oils or refined sweeteners like sugar, high fructose corn syrup and agave; granola bars; energy bars, especially those containing soy protein; cookies, bars and muffins containing natural flavors, coffee, chocolate, cocoa or cacao**. Good: Organic jams made with natural sweeteners, and without ascorbic acid and citric acid. Avoid: White sugar, corn syrup, high fructose corn syrup, brown rice syrup, fructose, agave, yacon syrup, imitation syrups, heated honey, concentrated fruit juices, stevia extracts (liquid and powder), artificial sweeteners such as sucralose (Splenda) and aspartame (Nutrasweet and Equal), sugar alcohols, such as xylitol; jams made with sugar, ascorbic acid or citric acid. Best: Homemade ice cream (except chocolate and those with natural flavors) made with cream from grass-fed cows (preferably raw), egg yolks, real vanilla, and natural sweeteners. Good: Simple flavors (such vanilla or pistachio) of commercial ice cream made with rBGH-free milk (all milk produced in Israel is hormone free), cream, egg yolks, and real vanilla. Note: Unfortunately, all commercial ice cream is made with homogenized cream and milk. Look for ice cream that has milk/cream as the first ingredient, not water or sugar. Avoid: All commercial ice cream brands contain a form of antifreeze called propylene glycol which is not listed on the labels. Commercial ice cream brands should only be eaten in very moderate amounts. Avoid ice cream made without cream and those containing extenders, soy products, powdered milk, powdered egg yolks, artificial or natural flavors, vanilla flavor, agave, chocolate, cocoa, cacao** or additives. Ice cream that has water or sugar as the first. Best: Lacto-fermented beverages such as kombucha (made with organic black tea) and kvass; plain mineral water in cans or glass bottles without added sweeteners and flavorings. Good: Herbal coffee substitutes, organic herb teas without natural flavors, alfalfa, cocoa, chocolate, cacao**, citric acid and caffeine, in moderation (and be careful of herb teas, some can have drug-like effects); organic unpasteurized bear and organic wine. Avoid: Soft drinks; diet drinks; fruit and vegetable juices; fluoridated water; coffee; tea (except for organic black tea used to make kombucha); water in plastic bottles; beverages containing fructose, high fructose corn syrup, agave, artificial sweeteners, sugar alcohols, stevia leaf extract, natural flavors; hemp, alfalfa, citric acid, caffeine, ascorbic acid, added vitamins or minerals, chocolate, cocoa or cacao**. *Weston Price Foundation recommends avoiding bulgur since it is a partially cooked product that has not been soaked. **Weston Price Foundation recommends avoiding caffeine containing products such as coffee, non-herbal tea, chocolate, cocoa or cacao because of their negative affects on the adrenal glands, blood sugar regulation, stomach acid, and the nervous system. 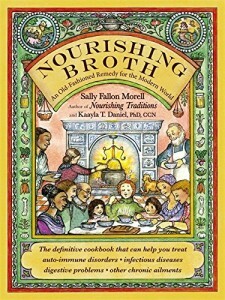 See Nourishing Traditions Cookbook pp. 51-52 for more information. I’d love to know where you find some of these things in Israel, especially raw milk and raw milk products. I live in Zichron and am aware of places like Eden Teva market and nitzat haduvdvan. 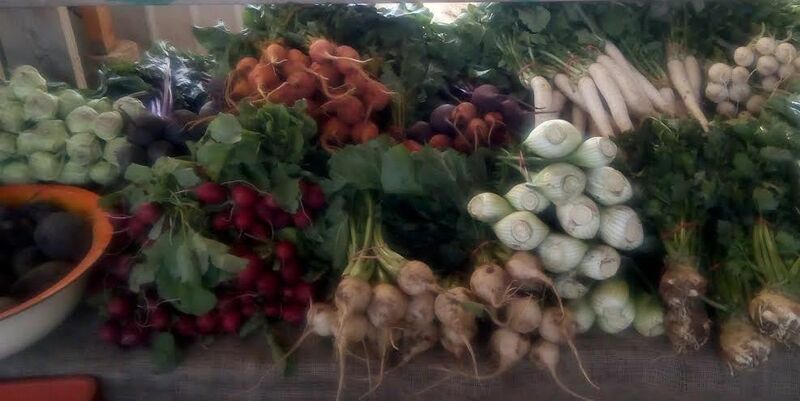 there is a local organic farm nearby where I purchase some organic produce. Raw milk and milk products are generally sold privately, and while I have some of the suppliers listed in a file (needing update) on my Nourishing Israel yahoo group, I want to speak to the individual suppliers before I post them online. On my list of things to do. I also used to make homemade yogurt from grass-fed milk, but have yet to find a good enough quality milk to make it with here. Wondering if the goat is worth trying..
Great hearing from you. Glad you find my blog helpful. Elle & Vire: hashgacha – triangle k and rabbanut. imported from France. My understanding is that goat’s milk is very healthy and easier to digest than cow’s milk but it does have a quite different taste. It might be worth a try. People who are interested in making their own yogurt and cheese here are using what’s available even if it isn’t grass-fed which Israeli milk basically isn’t – not much grass. We’ve been buying the Harduf organic cows milk lately which we get at the Organic Market. Let me know if you make your own yogurt. We could share the recipe here. I cannot thank you enough for the vast amount of information you provide us all here! It’s amazing! I’m living here for 6 years and my health journey has begun around the same time. I have made changes one at a time, based on accessibility and price of the items. I’m at the stage where I want to try to keep to a raw food diet (80/20) and at the same time I’m working to get organic produce based on your list of CSA farmers – which was a massive help to me. I still need other items for my children and I was wondering if you can help me out with that. 1. I recently came across a facebook page that offers organic, free range, eggs for a great price delivered to your door weekly – coming from a farm in Shiloh – they are called Free-Range Israel – I was wondering if you heard of them and if you know whether I can trust them? 2. Do you have info on farmers that I can work with that deliver raw goat milk – organic yogurts..etc to jerusalem? I’m having a very hard time with that now and I would love to be in touch with others that were successful in this endeavor. Thanks again – you should be blessed with health and happiness for all the health and happiness you are bringing to all of us! I am curious about the reasons for your suggestions. What is wrong with low-fat or homogenized dairy? Saturated fat is necessary in order for your body to properly utilize calcium and assimilate the fat soluble vitamins. And every cell in your body needs saturated fat. It is possible that because the fat molecules are broken down so small that some things that should not may bypass the digestive process and go straight into your system. Do you know where the standard, over the counter in the supermarkets, beef comes from? I’m interested in making bone broth, but I can’t be troubled finding/spending for organic/grass-fed, not supermarket beef (or chicken) bones? Most of the meat in Israel comes from South America. For Adom adom the animals are brought in from South America and finish growing in Israel so they are partially grass-fed. Tnuva is now bringing in fresh meat from Poland, already shechted, and is allowing stores to put their own labels on them. This article explains it http://www.globes.co.il/en/article-tnuva-to-import-fresh-meat-from-poland-1001063530. For antibiotic free chicken that’s fed a diet of animal protein and veggies (a normal diet for chickens) buy Oaf Tov. I don’t know if you can get just bones however. Cannot tell you about kosher gelatin as I don’t use it and haven’t looked into it. 1 Pings/Trackbacks for "Healthiest Foods Guide"